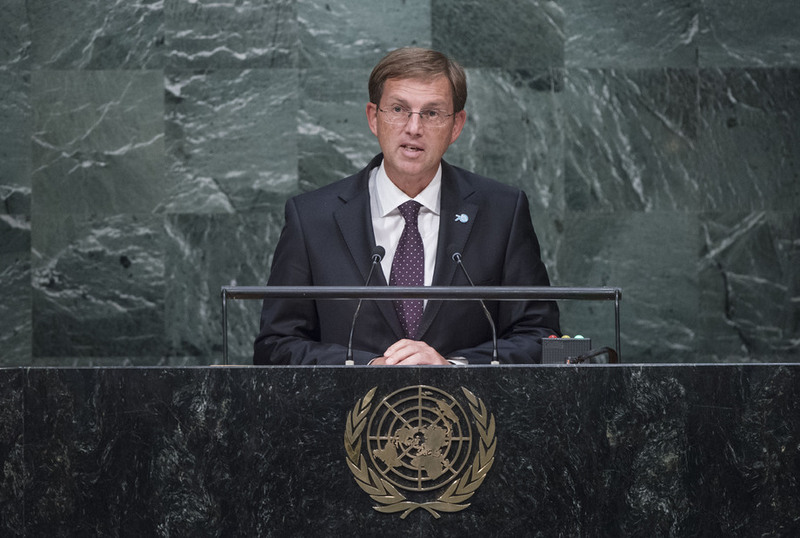 MIRO CERAR, Prime Minister of Slovenia, welcomed the adoption of the Addis Ababa Action Agenda and the new Sustainable Development Agenda, noting that his country remained strongly committed to environmental protection, ensuring its sustainability in national and international contexts. Based on its experience with beekeeping, and in view of multiple threats to bee populations, Slovenia believed bees were critically important for sustainable food production and biodiversity. His Government was proposing the “World Bee Day” and seeking a United Nations endorsement. He said that without respect for human rights, there could be no security or economic and social development, and vice versa. When his country gained independence, respect for human rights was a pivotal founding principle of the newly formed State. Since then, commitment to promoting human rights, especially the protection of the most vulnerable, including children and elderly, had further strengthened and represented a core element of his country’s foreign policy. Slovenia could contribute to the goal of promoting respect for human rights by serving as a Human Rights Council member for the 2016-2018 term. War and conflicts had caused dramatic growth in mass displacement, reaching unprecedented levels, he said. Massive waves of refugees and migrants were fleeing their homes, with hundreds of people dying in their search for a better life. While the international community should increase assistance to those in need and the countries hosting large numbers of refugees, there was a need to act more decisively to reach sustainable political solutions in the countries of origin. He said his country was committed to conflict prevention and peaceful conflict resolution. Wherever possible and applicable, States should opt for diplomacy, mediation and conflict prevention. In that regard, he welcomed the recent historic agreement on the Iranian nuclear issue as proof that even the most complex issues could be resolved peacefully. Slovenia would continue with activities aimed at bringing the global community closer to universal human rights standards and a decent life for all, and would remain a strong supporter of the environment in which every human being felt safe.